Each year, Temkin Group releases its Temkin Experience Ratings, which serves as a customer experience benchmark for the banking industry. In the 2018 rankings, credit unions tied for the top spot based on scores in three categories: success, effort, and emotion. Credit unions’ membership business model, favorable rates, and flexibility all make them appealing to consumers. But, in the age of instant gratification and digital customer proximity, it’s important for credit unions to adapt to new customer experience (CX) approaches so they can maintain member loyalty. Data availability: Customer data is critical for creating personalized experiences focused on your members’ most salient needs. But, according to The Financial Brand, most credit unions fail at making data available throughout their enterprise. Once you have the data, be sure to manage and share it across various departments so it can be used strategically. Frictionless processes: Whether they’re making a transaction online or visiting their local branch for assistance, credit union members expect to be able to complete processes easily and without interruption. That’s why the ways members engage with your credit union must be the focus of all efforts. If you're always thinking about the member interaction, you’ll be more likely to design an experience they’ll appreciate. Resistance to change: Ultimately, credit unions have to be willing to embrace change and can’t be afraid to take some risks with CX methods. This can be particularly tough in this space, as credit unions tend to be risk-averse. But, a willingness to disrupt old ways of doing things can have many long-term benefits. Maximize your digital presence: Credit union members expect their banking to be available online, just like every other area of their consumer lives. Recognizing this, respondents in the 2017 survey from Computer Services Inc. rated digital banking enhancements as their top CX strategy. Creating a convenient, easy-to-use online platform for your members is critical to their overall satisfaction. Not only that, but staying ahead of financial tech trends will ensure you remain competitive in your space. Prioritize employee feedback: Your employees are your biggest assets when it comes to member service strategy and program execution. Their feedback offers insight into how your members perceive the brand and any needs they have. Consider implementing Voice of the Member (VoM) and Voice of the Employee (VoE) programs to continually gather this feedback. Update your physical space: While digital is often the most preferred method of banking, you can’t forget about your branch. By updating your physical space, you can create an approachable, appealing environment for members to visit. One credit union recently remodeled its facility by adding a glass facade and moveable walls, creating a more open space with a modern aesthetic. Personalize the onboarding process: Onboarding sets the tone for your members’ experience. That’s why it’s important to incorporate a high level of personalization with this process and make them feel valued from the get-go. You should also be willing to evolve your onboarding practices to meet member needs. With the right technology in place, you’ll be more equipped to reach consumers and stay in front of them over the long run. 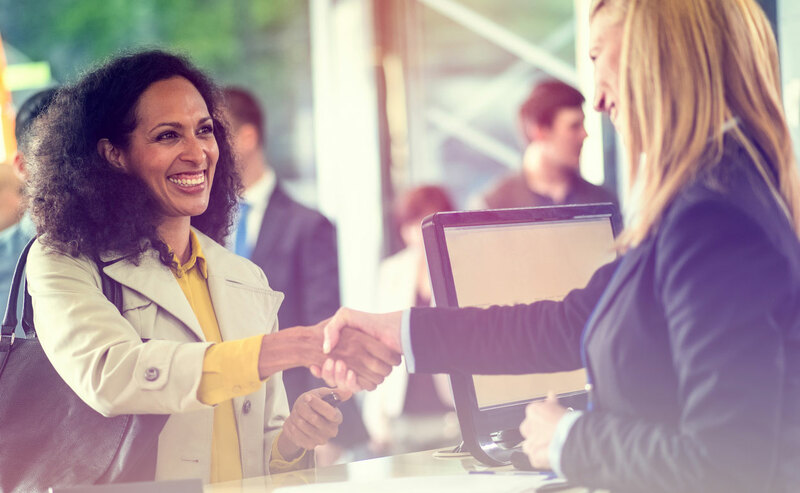 Credit unions are able to offer a truly consumer-focused experience for their members, and it’s something that requires ongoing planning and refinement. The 360 View growth platform can help you enhance your CX programs and maintain a high level of member satisfaction. Get our free growth assessment to learn how to optimize your credit union’s growth strategy for success.